Community Land Trusts (CLTs) seek to address the difficulty in finding suitable and affordable homes in local communities by creating affordable housing and community resources through the cooperative ownership of land by the local community. Land is acquired by community groups (usually below its market rate) through public investment, planning gain or philanthropic or charitable gifts and is held in perpetuity by the local community. The value of the land (plus subsidies and other equity benefits) is permanently locked in, on behalf of the local community and future occupiers, by the CLT. o Stage 3 - grants of up to £4,000 to help pay for the costs of formally setting up a CLT and developing the initial ideas into an investment-ready business plan. o Development finance - up to £350,000. PLEASE NOTE: the finance is repayable with interest. (b) To ensure that the assets are not sold or developed except in a manner which the trust's members think benefits the local community. (c) The members of a Trust control it. o Start Up Fund Stage 1 and Stage 2 - applications may be submitted at any time. o Start Up Fund Stage 3 - the Fund committee meets regularly to consider new applications. o Social Investment Fund - Expressions of Interest are currently being accepted. Further information, together with an application form for the Start-Up Fund, is available to download from the Trust's website. o The outdoor education of young people. o Open air and adventure-type activities and the funding of appropriate kit and equipment;. o Small charities which can demonstrate achievement in persuading and deterring at-risk young people from proceeding further down the pathway to custody. o Organisational development and change. UK registered charities may apply for a grant of up to £5,000. The average grant is around £3,000. Grants are for specific projects only and are mostly one-off with a limited number of recurring grants for 2 to 3 years. National and very large charities are not supported. The Foundation awarded around £840,000 in one-off grants last year. The maximum grant is typically £5,000 and the average grant is £3,000. Larger awards of £10,000 or £15,000 – and occasionally £50,000 – are sometimes made by the Foundation. During the year ending 31 March 2017, the Trust awarded 310 (2016 - 320) charities totalling £821,980 (2016 - £847,705). A list of all major awards made during the year can be found on pages 15 and 16 of the Foundations’ annual accounts. o Building works or refurbishment projects. Applications may be made at any time and are considered at Trustee meetings every two months. Further information, together with an application form, can be downloaded from the Foundation's website. The Heart of Experian Charity Fund supports local grassroots organisations in the UK with a charitable purpose that have a low profile but benefit the whole community. o Have not received funding from the Heart of Experian Charity Fund in the past 12 months. Local charities, community groups and schools may apply for a grant of up to £5,000. Applicants that can demonstrate they have secured match funding are likely to be prioritised for grant support. Applications can be submitted at any time and are reviewed by the charity on a quarterly basis. Further information, together with an application form, is available on the Heart of Experian Charity Fund’s website. The True Colours Trust provides one-off core cost or project grants of up to £10,000 with no match funding requirement for local causes in the UK. Grants are intended to help smaller organisations develop and deliver programmes for children with a disability, their siblings and families. 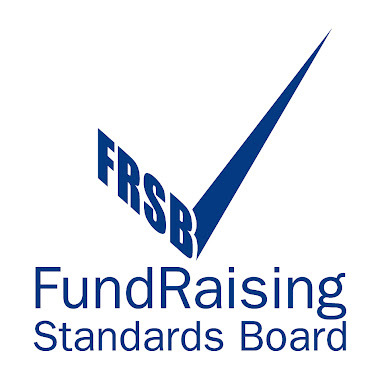 Registered charities and organisations with charitable status that support disabled children and young people and their families may apply. During the year ending 5 April 2017 the Trust approved grants totalling £1,313,673, some of which were for more than one year, across all of its programmes. According to a circular we've recently received, we understand that the Trust may also consider offering grants of up to £10,000 to councils interested in increasing their accessible playground provision for disabled children and their families. Grants are intended for the purchase and installation of accessible equipment which will improve access to public playgrounds for disabled children. Please check with the Trust to verify this. Applications may be made at any time and are considered quarterly by the Trust. An online application form is available on the Trust’s website which can be completed online or downloaded and returned by email or post.